I’m still having a great time with my Silhouette cutter. It kind of boggles my mind that it can cut out these tiny little details perfectly – its awesome! The box is very easy – just cut it out using your electronic cutter of choice (the download contains 4 different file formats: .studio for Silhouette, .svg, .dxf, and .ai) and fold on the dashed lines. I added a little glue to the side flaps – but the box actually holds together without the glue once it is folded. Add your chocolate bar and fold the wings of the butterfly up. Fold the flaps over and feed the butterfly through the slot. Open the wings to hold the box closed. The box can be made with card stock, scrapbook papers, or even printed digital papers. And of course you can embellish the box however you like. I printed one of the papers from the Folkart Love kit here – and added embellishments made with the print and cut files included in that kit. Check out the cute box Cathy made! She used the Folkart Love kit too – and she glittered the butterfly – you gotta love a bling-y butterfly! This entry was posted in Cutting Files and tagged boxes, Cutting files, DigiChick on January 28, 2012 by Cathy. I have some new products in my Digichick store to share today. Since they are new releases they are 20% off for the next 2 days! The first is a new digital crafting kit called Folkart Love. The images were inspired by different kinds of folk art (mainly Polish and Amish) – plus a little heart action thrown in for Valentine’s day. Something new with this kit – Silhouette cut and print files are included for all the digital elements (images, tags, borders, etc.). It makes crafting so easy when you can just print and cut! The focal images – great for hybrid projects and scrapbooking. 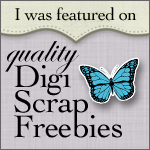 The tags and borders – these can be used for card sentiments, mats behind images or for journal tags in scrapbooking. I’m excited to say my second product is a cutting file! This cut pattern creates a candy bar box with a heart scalloped edge and a butterfly latch. It is designed to fit a standard 1.55 oz Hershey bar – but could be used for other things as well. (a gift card fits with a little room to spare). The download includes a Silhouette .studio file, a .svg file and a .ai file to be used with a variety of cutters. I had so much fun creating this new release. And playing with the cutting files has been a blast. I’ll have some more samples for you tomorrow. This entry was posted in Cutting Files, Digital Craft Kits and tagged boxes, Cutting files, DigiChick, Digital Stamps on January 26, 2012 by Cathy.